This list of drama clubs in London, or drama groups, or classes, or whatever you would prefer to call them, is aimed at enthusiastic actors looking to invest some of their time into the company. Most of them are free, although some might charge for a membership here and there. In this drama clubs in London list you will find groups, companies and clubs of actors of all ages and types. This society began its life during the war. The original company met regularly making much needed items of clothing and doing their bit for the war effort and as they worked so they sang. The society flourished and it became apparent that, as the membership and standard of performance rose rapidly, a larger venue was needed and so the society moved to the Stanley Halls, South Norwood. The last few years Avalon Theatre Company has performed at the “The Cryer Studio Theatre’ and have found that the popular musicals adapt very well in a small theatre. At present a Pantomime is performed annually. Venue for rehearsals is in Mitcham, Surrey. Acorn Theatre Company is an amateur dramatic society based in Enfield, Palmers Green, North London N13. We present a pantomime and musical annually at the Intimate Theatre, with the profits from these productions donated to local registered charities. The Alexandra Players is an amateur theatre group based at the Alexandra Hall, Bramshot Avenue, London SE7. Charlton is a small area in the London Borough of Royal Greenwich, nestled among Woolwich, Blackheath and Greenwich. We have members from across South-East London and even Kent. We produce at least three shows a year, usually in half-term and we showcase a wide variety of theatrical forms and eras. Act One Pantomimes produced Pantomime in the West London area from 1977 until 2005. We’re now producing our fun filled family pantomimes at the Eric Morecambe Theatre in Harpenden. Aks Arts Ltd is a platform for artistic expression for London-based amateur artists with more energy than their day jobs can consume. Aks, the hindi-urdu word for ‘reflection’ aims to be a mirror to contemporary society. The Barnes Charity Players is a flourishing and local theatrical group from Barnes and surrounding areas. We currently stage three shows each year, two at Kitson Hall and one at the OSO Arts Centre. We also organise workshops and theatre outings, parties and events. We’re a friendly and social group and are often to be found down the pub after rehearsals! Belmont Theatre Company (originally known as Belmont Players) was formed in 1946 as the drama section of the Belmont Community, in Harrow, Middlesex. Its first public performance was Charity Begins in 1947. Over the years Belmont developed into one the most successful and well-supported drama societies in Harrow with a nucleus of loyal and devoted members. Initially performing in church halls, the group started performing at the Harrow Arts Centre in the early 1990’s, moving from there to The Pump House Theatre, Watford in 2007 when the Arts Centre temporarily closed. Beyond Theatre was founded as The Chelsea Players in 1959 and the present company are proud of those roots which give us fifty years experience on the London Theatre Scene. When the original Chelsea Players was formed, the world of theatre was a very different place, with every town having their own repertory company; the lines between amateur and professional were more clearly drawn. Eltham Little Theatre (now The Bob Hope Theatre) was formed on 12th November 1943 to promote drama, music and allied arts in Eltham and its immediate vicinity. During the early years it was without a permanent home but early in 1946, by arrangement with the Parochial Church Council, ELT found a home in Eltham Parish Hall (the current Theatre) on an annual lease basis. In May 1946 Eltham Little Theatre was registered as a Company, limited by guarantee. The first production, “Hedda Gabler”, was staged by an affiliated society, The Kerwin Players, in 1946. We are Centre Stage, a London based theatre company that has been entertaining audiences with musicals and cabarets for almost 50 years. An amateur society, we first began life as a light opera company in 1966. Since then we have had a few changes in name, focus, and cast but we have kept the same entertaining spirit! A number of people have said that our shows are more ‘entertaining’ than most professional shows in the West End, but we’ll leave that for our audience to decide! We’re also a sociable bunch and many people have met life-long friends – and quite a few partners – in our shows. Chapel End Savoy Players takes its name from the medieval village of Chapel End – now a district of Walthamstow in north east London, adjacent to the north Circular Road at the Crooked Billet roundabout. In the north of the “village” lies the Walthamstow Greyhound Stadium, the venue of some exceptionally cold carol singing. On the southern border lies Water House, which is also known as the William Morris Gallery. The Chase Theatre Company was formed in August 2003 by Denis Steer, Clare Gollop and Mo Lawton and ‘Agnes of God’ was its first production in November 2003. Chase Theatre Company is now run by Clare Gollop, Denis Steer and Anne Fleming. Anne has Stage Managed the majority of Chase’s productions but it’s only from this year (2010) that has Anne officially been made part Chase. Clare and Denis welcome Anne as one of the team. CROADS welcomes new members, of all ages. If you wish to perform on stage or help behind the scenes with set building, sound or lighting then contact our secretary and come along, bring a friend, and join us at The Victory Hall. Catch up with us on Facebook and on Twitter. Being an entirely self supporting society, unusual in this day and age, we rely on the continued support and generosity of our patrons. We are a small, friendly amateur group based in and around Wandsworth.The Company was formed in 2007 by merging Hallmark Players and the Nightingale Theatre Company. Both groups have a strong tradition of participation in the Wandsworth Festival including: Alarms and Excursions, a joint production by Hallmark and Nightingale in 2006; Cold Comfort Farm, our first production as Common Touch in 2007; Bittersweet, a selection of songs and readings on the theme of love, in 2008; Restoration in 2009, Our recent productions include The Memory of Water in 2010, Filumena in January 2011, a rehearsed reading of Under Milk Wood in July 2011, The Lady in the Van in January 2012 and rehearsed readings of Sunday Morning at the Centre of the World in May and September. The Crouch End Players is an enthusiastic and creative amateur theatre group based in London N8. We produce at least 3 productions per year in a variety of styles and formats. Cygnet Players was established as an amateur musical theatre group in 1997, and are NODA affiliated. The company is run by a small committee who donate their time to ensure both artistic and financial success for the company. Have a look at the committee page to find out more. Dramatic Need is a UK-based charity that sends international and local volunteers in the creative arts (such as actors, artists and musicians) to South Africa and Rwanda to host workshops with children living in underprivileged rural communities. Volunteers can go for a period of between three weeks to eight weeks*, either individually or in teams of 2-4 people. Workshops are based around the particular expertise of the volunteer, be it drama, visual arts, music, film or dance. Volunteers are billeted within the local community and will usually workshop at two to three different schools during their stay. We encourage volunteers to stay as long as their work/study schedule permits, so both students and volunteers can get as much out of the programme as possible. Dunnico Media is a London-based production company committed to producing quality work in a number of genres across a range of different platforms. East End Shed is an inclusive theatre company for children and young people in Tower Hamlets. We run acting, singing and dance workshops, create theatre and put on performances with children and young people from the borough. We work using an inclusive, creative process in an environment where everyone is valued and everyone’s ideas and contributions are important. We’re a friendly group of people mostly from East London and Essex. We get together to produce the kind of shows we like, including quite a bit of new work. We currently have more than 60 active members, the majority being actors, but with specialists too in directing, writing, lighting, sound, music, graphic design and costume and probably lots of other things that I won’t be forgiven for omitting here! If you don’t know the show already , it is Andrew Lloyd Webber’s musical hidden gem with lyrics by Jim Steinman (who wrote for Meatloaf). Loosely based on the story by Mary Hayley Bell, and the film starring Hayley Mills, it is the story of three motherless children who discover a fugitive in their barn who they believe is Jesus, and who should therefore be able to bring their dead mother back. Their secret is shared with their friends but must be kept from the adults. Welcome to the ELODS website. We are a friendly musical theatre company based in Winchmore Hill in the London Borough of Enfield. We perform two musicals per year at the Wyllyotts Theatre in Potters Bar in Hertfordshire. The main focus of our activities is the performance of popular musicals at the Wyllyotts Theatre in Potters Bar twice a year. Of course, in order to perform the shows there is a huge amount of work that needs to go on way before we take to the stage for ‘opening night’. Hopefully this website will give you the information you are seeking about the society and what we do. Having been a leading figure in the entertainment industry, Esta Charkham has experienced the best and worst of training for young people. We are a team that strives to put together first class performances We enjoy the support of many individuals across the Woodford Green, Chigwell and Ilford areas. We perform at the Kenneth More Theatre twice per year and would love to see you there. FreeRange Productions was founded in Berkshire by Chris Snow in August 2010, with the aim of giving young people aged 14-26 the chance to showcase their skills as part of a professionally managed theatre company. FreeRange are dedicated to the advancement of the individual through the unity and structure of working within a group of like-minded, passionate individuals. 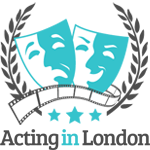 We are a registered charity promoting involvement in the Dramatic Arts in North London. We welcome anyone who wishes to learn more about drama, either by participating in or coming to watch one of our diverse programme of shows. Group 64 is a rapidly expanding community youth theatre in the heart of Putney, with over 250 members. We run drama and musical theatre classes for young people aged 4-19. In our classes we aim to create a safe environment in which young people can develop confidence, creativity and social skills through drama and performance. Our doors are open everyone – no experience necessary! The Guild Players have been meeting and performing in Finchley since 1946. The group is part of Finchley Methodist Church, but also has many members from the surrounding community and across the Borough of Barnet. Over the years we have performed all types of drama – plays, comedies, thrillers, farce, promenade performances and musicals. Recently we have produced a pantomime once every two years. See the productions section of this website to see what we have done in the past. Ever since Graham and Sue Dowell started us off in 1976, The Hampstead Players have taken amateurism seriously. ‘In love, as in sport’, said Robert Graves, (he might also have said ‘the theatre’) ‘…amateur status must be strictly maintained’. We pursue high standards, and hope to do justice to the work of great dramatists and, in a broader sense, to the mission of the Church, but we also do it with enthusiasm, and a sense of fun – otherwise, for amateurs, what is the point? Musical Theatre Tour (formerly ICOS Tour) is the touring society of the Musical Theatre Society of Imperial College London. Established in 1956 we have been annually touring shows to Budleigh Salterton, Devon, since 1968. Imperial Productions is a dynamic theatre company based in the centre of London, England. Formerly known as Imperial Opera, we perform a diverse range of material, and pride ourselves in our innovative and creative style. We often produce rarely-performed works, which have in the past ranged from Sondheim and Berstein to Purcell and Vaughan-Williams. As a theatre group we started life in 1938 and since 1948 we have been running our own well equipped 64 seat theatre in Friern Barnet, North London. We have a friendly, lively and active membership of about 130 members and stage 6 productions a year to a consistently high standard. We participate in the annual Barnet and District Drama Festival and have won many awards for our productions. Loughton Amateur Dramatic Society, known as LADS, was formed on 6th January 1924. Our founders wished to establish a “village society” with the aim of presenting plays with “genuine dramatic worth”. Nearly ninety years later, the LADS are still going strong, and although Loughton can no longer truly be described as a “village”, one thing has remained constant – that original aspiration of “genuine dramatic worth”. The Magdalene Players are an Amateur Drama Group based in Wandsworth, London, England. We have been performing at the St Mary Magdalene Church Hall, Trinity Road, Wandsworth Common, London, SW17 7HP, United Kingdom since 1980. Not only do we tempt audiences with pantomimes but also with other delights. We have turned our hands to drama, comedy and musicals. We are proud of what we have achieved and over the years there have been many high points. MMTC is an expanding and successful amateur theatre company based in South West London. Founded in 2006, we aim to stage up to five productions per year, ranging from large scale Broadway musicals, comedies and original revues to outdoor Shakespeare productions and our ‘Mayhem Kids’ junior shows. Network Theatre is a hidden gem – a “better than fringe” theatre hidden under Waterloo Station in London. We feature productions from our in-house company, Network Theatre Company, as well as visiting companies. Our theatre is rumoured to be difficult to find, so check out our directions before your first visit. Network Theatre is a black box studio, with configurable stage and seating. We have modern lighting and sound installations, and a full range of facilities. If you would like to use our venue for rehearsals, performances or other events, or become part of our visiting programme, you can find more details here. Based in Wandsworth SW18, we are one of South West London’s longest-established amateur theatre groups. The group is known for its adventurous repertoire and high-quality work. Pinner Players are always looking for new members who would like to participate in amateur theatre. If you would like to join us either on stage or back stage, you will be most welcome – even if you’ve never been involved in theatre before. If you have talent, we’ll help you find it. Protos Theatre and Arts Group is an amateur theatre group based in Hornsey, North London. We have staged over thirty productions, which include plays as well as many musicals for both children and adults. Founded in 1948, it is believed that PLOS is the longest running amateur theatre group in Wandsworth and has entertained audiences throughout the area for many years. We stage two productions every year, performed and produced by amateur members from a cross-section of the local community. If you thought you were the only budding thesp in your office, you couldn’t be more wrong… We all are! The RBS Theatre Company is the oldest active amateur dramatic society in London area – since 1875. Scripted Chaos was created by producer Stevy Bachtalia and director Amber Homes. Our aim is to create an environment for theatre artists to develop ideas and produce new work, bronging together people of all art backgrounds to collaborate on theatre projects. As a theatre company, we want to present projects that develop new writing as well as re-work traditional storytelling. 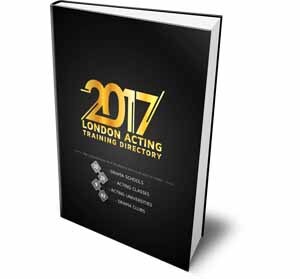 The acting and producing membership includes an eclectic mix from all over London but maintains strong links with the City via its members from investment banks, law firms, brokers, the Exchanges and many other financial and city based firms. We are an unincorporated association run by an executive committee and a registered charity (no. 1099443). We maintain a strong emphasis not only on member participation but also on excellence, as the reputation of the society grows within the community. SMP (Saint Monica’s Players) is a north London theatre company based in Southgate/Palmers Green who have been producing musicals, pantomimes and plays for over 50 years. If you want to do amateur dramatics in Enfield, we’re the best am dram group around. Southfields Theatre Group (STG) was formed in 2008 by a group of like-minded Southfields residents who felt there was an amateur dramatics gap to fill in the village. That group has expanded to twenty-five active members. Some are budding actors, some are evergreen thespians. Others play vital production and organisational roles, providing sets and lights, technical, visual and written creativity, costumes and props, as well as pulling in good audiences and balancing the books. We have been in existence since 1889 and are also known as Barclays Dramatic Society. The reference to the ‘Spread Eagle’ is drawn from Barclays Banks’ old logo. Since our inception in 1889, we have done all that we can to maintain our ethos of high quality and accessible productions. Based in Forest Hill, south-east London, this friendly Amateur Dramatic Society, formed in 1934, presents two full-length productions every year. A small and friendly amateur dramatics group based in Palmers Green North London. Performing two non musicals a year we are now in rehearsal for our next production. St. Michael’s Players is one of the oldest established amateur dramatic groups in London having been putting on shows for almost 65 years. According to a founder member, the Players Amateur Dramatic Company began with an entertainment at Christmas 1948, commissioned and directed by the Vicar at the time, Revd Samuel Manning. Starlighters were formed 30 years ago by Anton Copley and Don Munro. Their aim was to use their productions to raise money for various causes. This still holds true. All profits are donated to various local causes. We rehearse in Walthamstow E17 and our show venue is in Leytonstone E11, so if you live in or near these areas please do come along and support us. If you wish to particpate in our shows we are always happy to take on new members. An interdisciplinary company which aims to produce cutting edge, uplifting material which caters to various fields including the arts: (represented as theatre, music, film) and Academia. We serve as a catalyst in inspiring people to cultivate and expose their innate creative abilities. We are a collective of actors with learning disabilities. We devise & produce our own plays & films. We meet to rehearse & write twice a week and generally produce one film & one or two major plays a year as well as some smaller projects. The Centenary Company was founded in 1995 and specialises in the works of Gilbert & Sullivan. Each year we perform a fully costumed and staged production of one of G&S’s operas, with a 13-piece orchestra. In recent years our home has been the Greenwich Theatre. We are a friendly sociable group founded in 1931. We produce two full length plays a year, as well as enjoying social time together. The Good Companions ADS have been performing amateur drama at John Keble church in Edgware, Middlesex since 1933. Over the years we have presented all types of drama, as well as large-scale musicals and pantomimes. We are now one of the leading drama groups in the London Borough of Barnet. The Hackney Players is now in its forty-second year and during that time has put on over 100 productions ranging from Greek melodrama and thrillers to comedy, pantomime and music hall. We have performed in various halls and theatres in both Hackney and other boroughs, but our principal home which we have used over the years has been Summit Estate Hall in Stamford Hill. Here, we have had meetings, stored costumes and scenery, rehearsed and performed the majority of our productions over the years. Over the years the building has not worn well and is now in need of extensive repairs. For more than sixty years, the Players of St Peter have been performing English medieval drama in London, and are, we believe, unique in offering annual productions from the main English mystery cycles. At the end of November each year we perform a selection of plays from one of the four most complete cycles (York, Chester, Wakefield and “N-Towne” – also known as “The Plaie called Corpus Christi”). Our productions take the Bible story as far as the Nativity, presenting a selection of self-contained scenes within the hour-and-a-half duration of each performance. he Priory Players are a friendly group, open to anybody interested in amateur dramatics. All our members ‘muck in’ to do all the jobs involved in putting on plays – from acting on the stage, to helping out behind the scenes, set-building, painting, running the box-office and lighting etc, whatever aspect of theatre you are interested in, the PP’s can offer you the opportunity to try your hand. The Quay Players is an amateur dramatic society based in Bermondsey, South East London, who generally perform two shows a year. We are a very friendly society and always welcome new members, whether you prefer being onstage or performing behind the scenes. Still based in Highgate, and currently putting on about three productions each year, Theatre in the Square was formed over 40 years ago when we used the name The Gatehouse Theatre Club. This was because in 1967 our first production was at Ye Olde Gatehouse pub in Highgate Village. 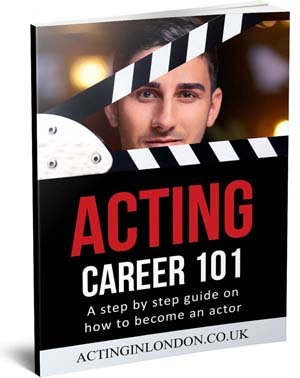 Available to anyone at any time, these lessons arrive direct to your inbox and give you a foundation in core acting skills you would expect from any drama school. Lessons include breath control, voice, speech, physicality and motivational exercises. Thistles are an amateur theatre group who for the past 90 years have staged numerous classic Musicals in London and Essex. Producing large scale musical shows at Ilford’s Kenneth More Theatre and at other venues in East London and Essex. The Tower Theatre Company took its name from Canonbury Tower, the building that it occupied for over 50 years in Islington, North London. However, the company’s history goes back even further than that – it was founded in 1932 as the Tavistock Repertory Company (which is still the official registered name of the company). It was called that because performances were given at the Tavistock Little Theatre, in Bloomsbury, and thus has nothing to do with Devon. The Unlucky Theatre Comapny was formed in October 2009, by Miles Leven and Nick Shirm. The primary aim of the company was to put on a production of “saucy Jack And The Space Vixens” The Fringe First Award Winning Musical Set in a seed space cabaret bar . Wanstead Players is reputed to be the oldest amateur drama group in the East London and Essex. Staging three productions a year at the Kenneth More Theatre, Wanstead Players strives to provide an eclectic mix of plays to suit all audiences. South-West London and Surrey’s Premier Free Youth Theatre Company. Couldn’t find any more information about this one, sorry. I hope this list will be of help to you. I tried to filter it as best as I could. If there are any mistakes that you’ve noticed, or I missed something, please don’t hesitate to let me know. Also, if you just set up your own theatre company or it wasn’t included here, get in touch and I’ll list it for you. 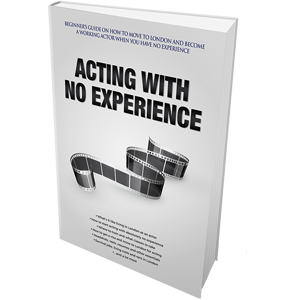 We want more opportunities for actors to act in London and UK! 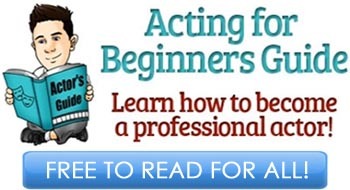 If you like the list, consider subscribing to my newsletter for not just drama clubs in London, but for more information, tips and great advice on acting in London and UK. Founded in 1964, Southgate Opera is one of the premier amateur opera companies in London, with an ever-changing programme of productions featuring opera, operetta and musical comedy. Our productions are fully staged and costumed, feature a full chorus and are accompanied by an orchestra. We welcome new members, whether you want to act and sing or help behind the scenes, backstage, with costumes or props. You are welcome to come along to watch one of our rehearsals and meet the company. We definitely can. Could you please send us an email to [email protected]? I would love to be an actor someday , it’s my passion and a dream I would love to fulfill and would love to join your company for more experience on acting if that is possible. Hello Tom, please can you advise any good drama club in Leeds, i am a Nigerian and will be relocating with my Partner to Leeds in a few months and will be interested in joining a drama club upon arrival. Could you tell me of any reputable theatre companies that are based in the North West?